ATTENTION!! 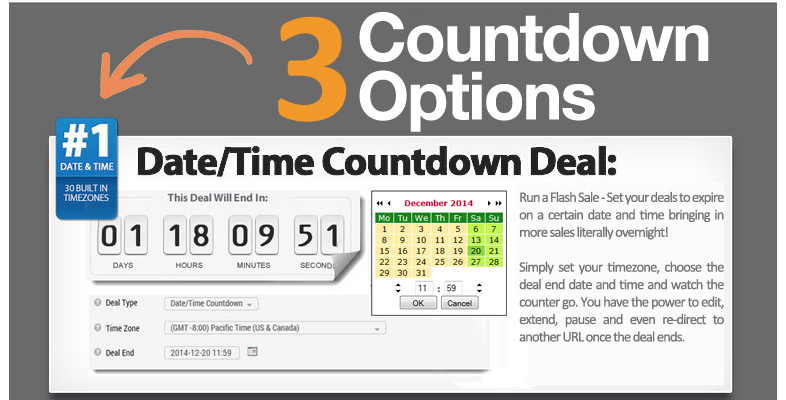 - Your Date & Time Countdown Timer Brings In More Sales In Record Time!! 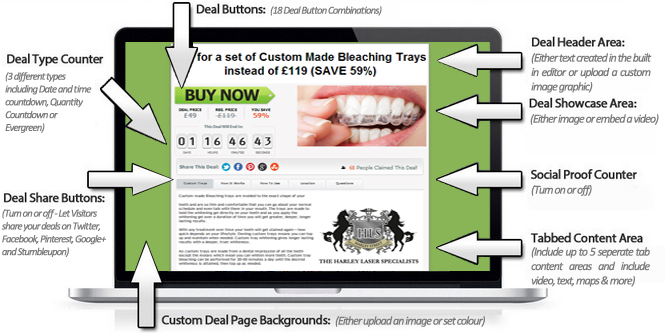 64	People Claimed This Deal! Run event based deals around specific calendar dates such as Christmas, Valentines Day, Easter, Black Friday, Payday (or just about any event you want). Use for specific product launch discount deals, flash sales and much more to mop up record breaking cash windfalls every month! 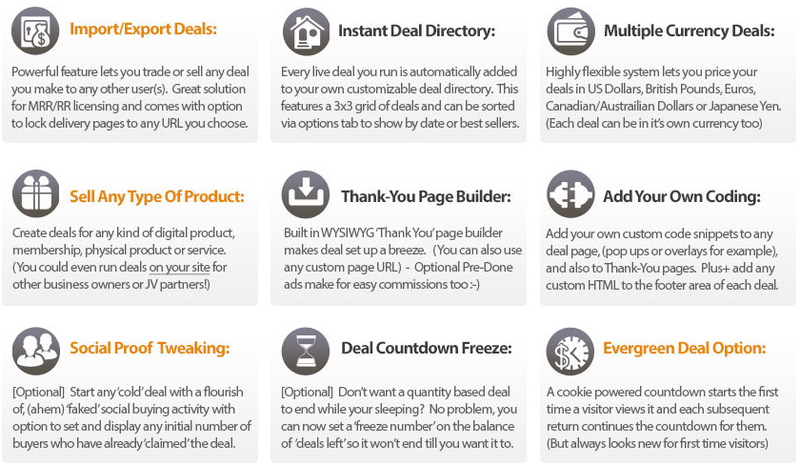 Simply set your timezone from the drop down menu and choose the deal end date and time. 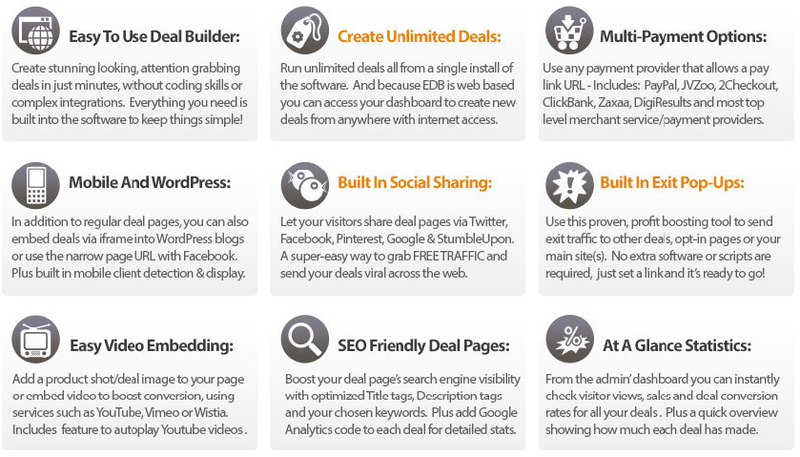 Everything then runs on full auto-pilot (you can of course edit and extend a deal if you choose, pause it and direct it to any URL once the deal ends).